Through the act of harvesting and sharing food, we connect and nourish our community to build stronger relationships and a deeper appreciation for our food. Healthy food for all. We live in an area of agricultural abundance, yet there are many people in SLO County that go hungry. We believe in simple solutions such as harvesting extra produce and getting it to our neighbors in need. Reduce waste. Growing food requires resources such as water, land, labor, and energy. By gleaning we more fully utilize our region's resources. 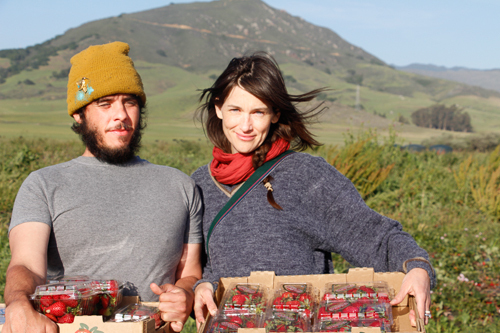 Gleaning grows communities. We create opportunities for a diverse array of people to collaborate and celebrate the act of harvesting and sharing nutritious food. By working together and sharing ideas we discover our broader sense of connection and common purpose. Knowledge empowers. We believe that through collaborations and sharing ideas we can inspire a healthier food culture.